Across Your Face: Youth of Today reissue madness!!! So since today I got my pre-order in at RevHQ today for those new Youth of Today color represses that everyone is talking about, I figured why not show my other represses that I got not too long ago off Rev? 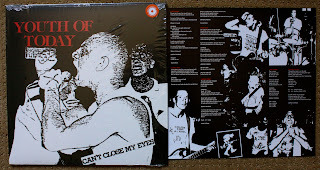 Here is the Can't Close My Eyes 2011 repress on red (/443). They also have it on purple (/562). I opted for the slightly more limited pressing, but now I kind of want the purple too. Maybe in a future order if its still hanging around on Rev I'll throw it in there. 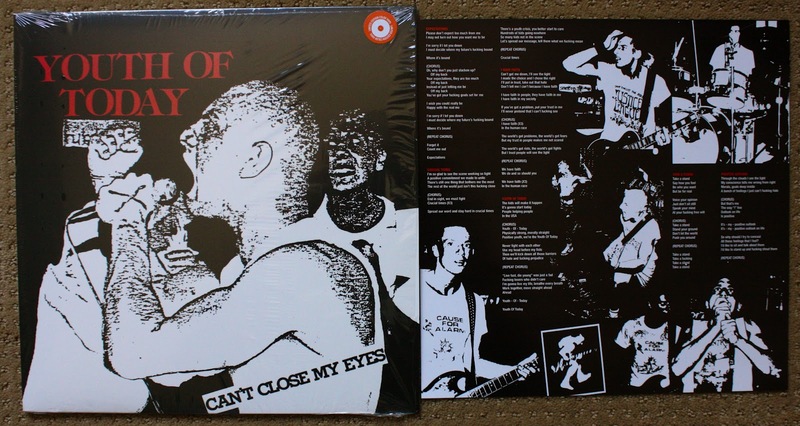 Here's the 2011 Record Store Day pressing of Youth of Today's S/T 7". It's on red vinyl (/1350). Both of these are still available at RevHQ, so if you don't have them you might as well scoop them up when you get your Break Down the Walls and We're Not In This Alone pre orders! I guess Rev just can't get enough of repressing Youth of Today vinyl, but hey I'm not complaining! Yeah, much better now. I'm glad I got to channel my anger through this blog or maybe you would have seen me on there haha!